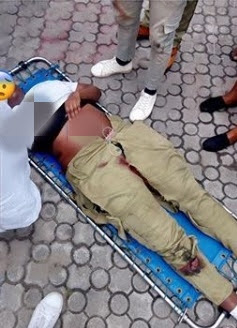 A member of the National Youth Service Corps who is serving in Lagos, narrowly escaped death this Wednesday morning, after being knocked down by a reckless Danfo driver. The incident happened at Igbo Efon, on the Lekki Epe expressway. The lady, identified as Morenikeji, is receiving treatment at the Lagos University Teaching Hospital, while the driver is being held by security operatives.